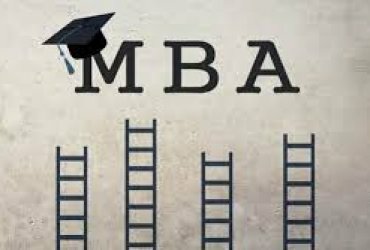 CAT exam which is also known as Common Admission Test was initially an entrance examination for admission into Indian Institutes of Management (IIM) business administration programs. Now almost all institutes have aligned themselves with this exam and the score in this common entrance test decides the college where the aspirant can apply. The CAT exam format is based on a percentile system. The test is held every year and is divided into 5 sections. These sections are Quantitative Ability, Verbal Ability, Reading Comprehension, Logical reasoning and Data Interpretation. In most colleges once you get your CAT score, you’re selected for a GD round followed by a personal interview. IMS Learning Resources Pvt. Ltd. is a premier institute that renders coaching for a variety of entrance tests. Located in the hub of coaching centres in Sector 34 A, Chandigarh, it has the best faculty that one can ask for. With a modern teaching approach that is suited for heuristic minds, IMS Learning Resources Pvt. Ltd. is a great place to enhance one’s learning skills so as to ace any given exam. Visit their website imsindia.com for more information. Read more about IMS Learning Resources Pvt. 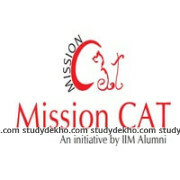 Ltd.
Mission CAT in Chandigarh prepares students for the CAT (Common Admission Test). The coaching institute has expert teachers who have years of experience in the field of teaching students for CAT. What makes them unique and the best CAT coaching institute in Chandigarh is the teachers themselves have excelled in CAT and are alumni of IIM-Ahmedabad, the zenith of management education in India. The class notes are prepared thoroughly by these teachers by analyzing the previous years’ question papers and the latest trend in CAT. There are day, evening and weekend batches as per student’s convenience. The doubt counters and the backup classes are also arranged on a regular basis. The teaching methodology used at the institute is completely student-oriented. There are different teachers for different subjects who are proficient in their field. With an amazing study environment and the best of faculty this institute is striving to give the best results in the tri-city. Omega in Chandigarh which has taken the CAT preparation to a whole new level. The institute is known for its top quality courses and is considered to be one of the Best CAT coaching institutes in Chandigarh. There are day, evening and weekend batches as per student’s convenience. The experienced faculties in Omega have been the role model for thousands of students who have made a mark in premier competitive exams like CAT, XAT, CLAT, IPM, BBA & HM. The updated Study Material, Periodic Workshops, Boot Camps, Sessions on Personality Development, Mentorship Programs, Endless Practice Tests on Topics, Section & Full Length Tests add enormous value to the aspirants at OMEGA. The 6 Months to 1 year program with Omega might seem to be a bit tiring one for those who are not used to putting 100% into one single goal. If someone is looking for an Institution which is result oriented, Omega is the best choice in North India. This is one of the most renowned institutes across the country in the field of MBA coaching. It is located in two places in the tri-city area; sector 36D, Chandigarh and sector 8C, Chandigarh. The institute is known for its top quality courses and is considered to be one of the best CAT coaching institutes in Chandigarh. The students enrolled in TIME coaching in chandigarh get an extra edge over the other candidates as there are plenty of mock tests and discussion classes to ensure proper development of the students. A very competitive environment is created for the students and from day one the ranks of students are generated at an all India level so that students get to know about their actual standing. There are a number of courses available at the time coaching in chandigarh and one can choose between opting for their regular classroom program, weekend program, crash course program, weekly tests program, education through correspondence etc. Educorp coaching in chandigarh which has made its mark in the field of CAT preparations. Educorp is located in sector 35C, Chandigarh. What makes it stand tall among the best CAT coaching institutes in Chandigarh are the unique teaching methods and their focus on testing each student’s aptitude and then moving on with the training and tutoring. The faculty in educorp coaching in chandigarh ensures that the students attain knowledge about the various subjects which are included in the CAT exam. Overall grooming and personality development is also given importance here because this becomes the deciding factor once a candidate clears the CAT exam and moves on to GD and personal interview. This institute has given some great results in the past and it strives to do their very best, a result of which is their position on the list of top CAT coaching institute in Chandigarh. This is another institute that has found its place among the top CAT coaching institutes in Chandigarh owing to its faculty and teaching methods. It has two centers in the area which makes it easy and convenient for the students. One of its centers is located in sector 8, Chandigarh whereas the other is located in sector 35C, Chandigarh. Career Launcher has helped shape the careers of many CAT aspirants and it is continuing to do so in this field even now. Career launcher coaching in chandigarh has been present in the industry since the past 18 years and it is certainly the place to be if you want to crack the CAT exam successfully. The institute has 225 learning centers which are spread over 175 locations across the country. Career launcher coaching in chandigarh speaks for them and their success is a statement about their state of the art infrastructure which ensures maximum output from the aspirants. The faculty ensures that each student is given personal attention while the test series and competitive environment ensures that students are on their toes; together all of this makes Career Launcher one of the best CAT coaching institutes in Chandigarh. Finding its place on the list of top CAT coaching institute in Chandigarh is the Bulls Eye, located in sector 8C, Chandigarh. The institute has an excellent reputation and now it has expanded itself with its second branch in sector 44C Chandigarh. Bulls eye coaching in chandigarh has given many top scorers in CAT which makes it a worthy contender on the list of best CAT coaching institutes in Chandigarh Tri-City area. 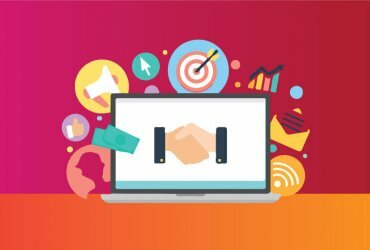 It is known for its innovative approach which helps the candidates score much better as they focus on speed as well as accuracy. The test series, crash courses and the classroom teaching, all together make the Bulls Eye coaching in chandigarh a worthy institute within the tri-city area. Sharma shiksha kendra coaching in chandigarh is located in sector 22D. 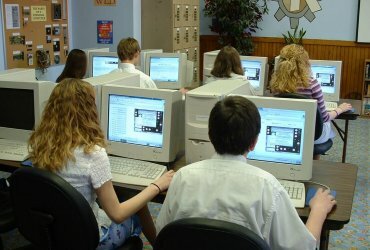 The institute has a good infrastructure and proper attention is given to each student. The teachers here are well qualified and they ensure personal attention to all students. Smaller batches are preferred here which helps each student. Sharma Shiksha kendra coaching in chandigarh has delivered some good CAT exam results over the past few years due to which it has found its way in the top 10 CAT Coaching institutes in Chandigarh. This Centre is located in sector 32, Chandigarh. The faculty here is knowledgeable and gives personal attention to each student which helps the student with their preparations. It is a good coaching centre and can be considered especially for those who need help with the basics of various subjects. In goyal cpoaching centre coaching in chandigarh The teacher focuses on each student individually to get better results out and keeps them motivated towards their goal of cracking the CAT exam. Goyal coaching centre coaching in chjandigarh is considered to be one of the best CAT coaching institutes in Chandigarh owing to the personal attention that the students of the institute get here. This is another one of the best CAT coaching institutes in Chandigarh.gyan guru coaching in chandigarh class is located in sector 37C, Chandigarh. 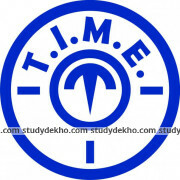 The study material of this institute is very good and is designed such that it is easy for the student to understand. The study material is regularly updated to ensure that students do not miss out on any new additions while the material is designed keeping the CAT exam pattern in mind. The students at gyan guru coaching in chandigarh are provided with in depth knowledge of all topics and the basic concepts are given importance here.